services, and expertise are continually evolving. Our mission is simple: superior parts, exceptional performance and craftsmanship, and above all, unparalleled customer service. 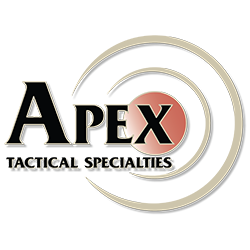 Apex Grade Gunsmith Fit M&P Barrel - 4.25"
Apex Grade Gunsmith Fit M&P Barrel - 5.00"
Apex Grade Semi Drop-In M&P Barrel - 4.25"
Apex Grade Semi Drop-In M&P Barrel - 5.00"
Apex Grade Threaded Gunsmith Fit M&P Barrel - 4.25"
Apex Grade Threaded Gunsmith Fit M&P Barrel - 5.00"
Apex Grade Threaded Semi Drop-In M&P Barrel - 4.25"
Apex Grade Threaded Semi Drop-In M&P Barrel - 5.00"